On April 12, 2018, members celebrated Father Fay as he led Mass as our Area Chaplain for the final time. 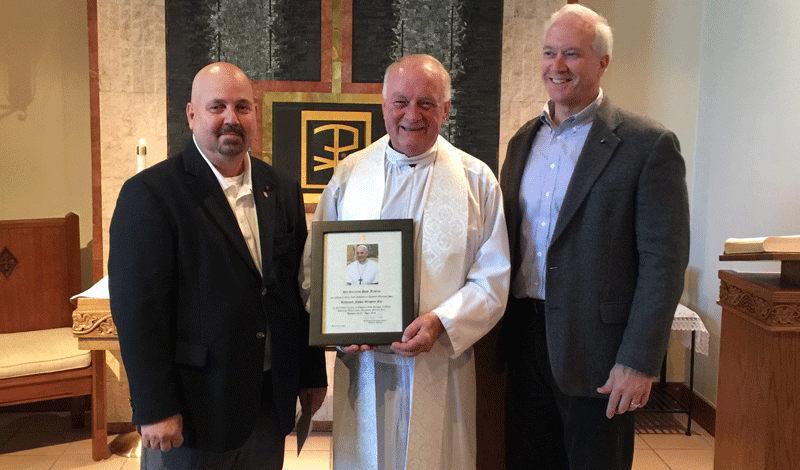 Northeast Florida’s Area Chair, Darryl Blatzer, presented Father Fay with a Papal Blessing in gratitude for his devoted service and guidance to our Area as Chaplain. We have much for which to thank Father Fay in his service to our Area and all the needy in it.